This volume contains Verdi's only two mature secular choral pieces: Inno popolare (Hymn of the People) for unaccompanied male chorus, and Inno delle nazioni (Hymn of the Nations), for tenor solo and chorus, with the orchestral accompaniment reduced for piano. Verdi wrote the brief Inno popolare in 1848, hoping that it would become an anthem for Italy. In 1862, asked to represent his country at London's International Exhibition, he contributed Inno delle nazioni. 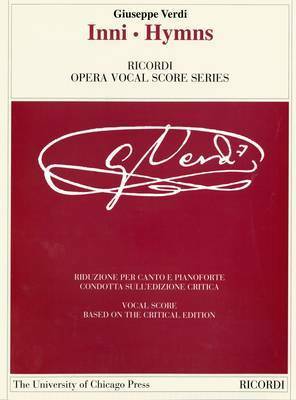 The critical edition is based on Verdi's autograph score, preserved at the British Library. Roberta Montemorra Marvin is a research fellow at the University of Iowa's Obermann Center for Advanced Studies, where she is also an associate professor.